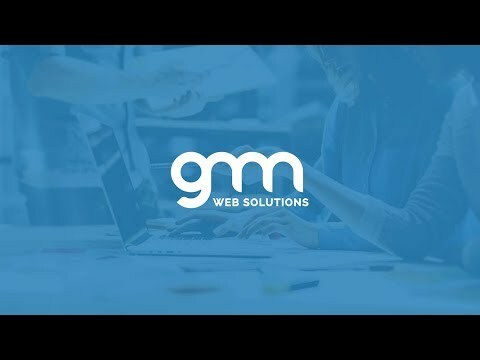 Every business is unique in terms of their business goals, function and industry, and will certainly require custom web solutions to create the perfect fit. Supported by in-depth industry research and analysis, our team will integrate relevant solutions and tools with social media, delivering superb user experiences. With thousands of competitors in your marketplace, we know the importance to be impressive and yet easy-to-recall. Did you know that you only have about 5 seconds to impress a new visitor to stay on your site before they decide to leave? Lower your bounce rate and increase your average time on page with us! Every single website we create for our clients will feature eye-catching layouts, outstanding graphic design, professional photography and carefully-crafted contents to actively engage visitors utilising effective calls to action and turn them into loyal users. Every website must serve its intended purpose and be measurable by conversions and target results. We will ask many questions about your business goals, brand values, marketing strategy, target audience, competitive landscape; we leave no stone unturned as we always start each project with carefully-researched data and insights. At the end of the discovery stage, we will provide a project timeline, project details, website configuration in terms of platform, layout, user-flow diagrams, sitemap as well the soft elements e.g. colours, font, visuals, and general aesthetics. Based on the page wireframes created in the Discovery & Planning stage, our designers will get to work and design your website to meet the goals and unique needs of your company and brand. This is where the User Experience (UX) and Information Architecture (IA) are established. Impressive graphics and artworks shall be created however, one of the key strengths of our team is the ability to look beyond the design aesthetics and build a robust, scalable website that deliver superb user experiences fully integrated with social media to convert visitors into customers – Return On Investment (ROI) is the key performance indicator for us. Our designers will provide a design mockup displaying the fonts, colours and watermarked visuals for your consideration and comments. In tune with the ever-increasing mobile usage, all of our websites are designed to be responsive on mobile, tablet and desktop. The CMS is also made easy for our clients to quickly update their sites in real-time. Before the launch of your website, we put our coding to the test through an extensive quality assurance process in areas of site security, site speed, performance level, etc. In addition, the website shall be tested for SEO implementation. With over 100 check points conducted in our internal review, we ensure that your website is primed for a successful launch. Upon receiving your final approval, we will then take the site live. In the back-end, our development team will conduct another test to make sure that the website is running at its optimum. We will continue to monitor your online presence by analysing user behaviour and with the data collected, we will make further improvements to the site to gain higher conversions and increase repeat visits.